For this project we are exploring the narrative opportunities offered by a double-parallel folded piece in the form of a 6-step instructional guide. 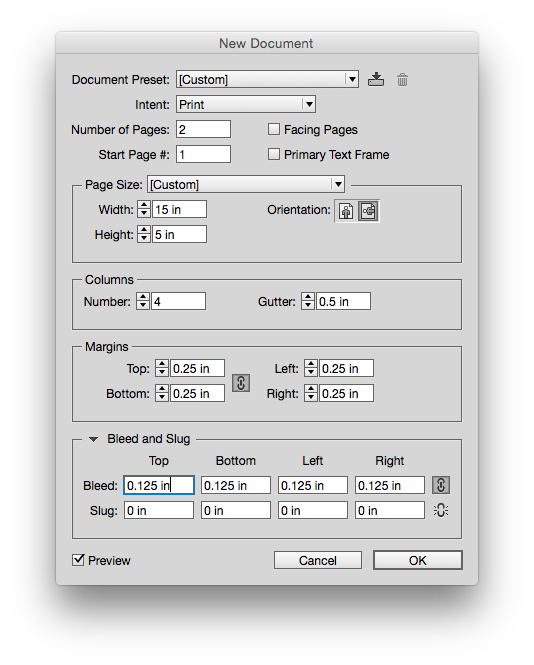 Use the following specifications when setting up your InDesign document to ensure that all eight panels are properly configured. See screenshots below for reference. Vertical guides: 3.75, 7.5, 11.25 in. The subject matter of the Instructional Guide is up to the individual. 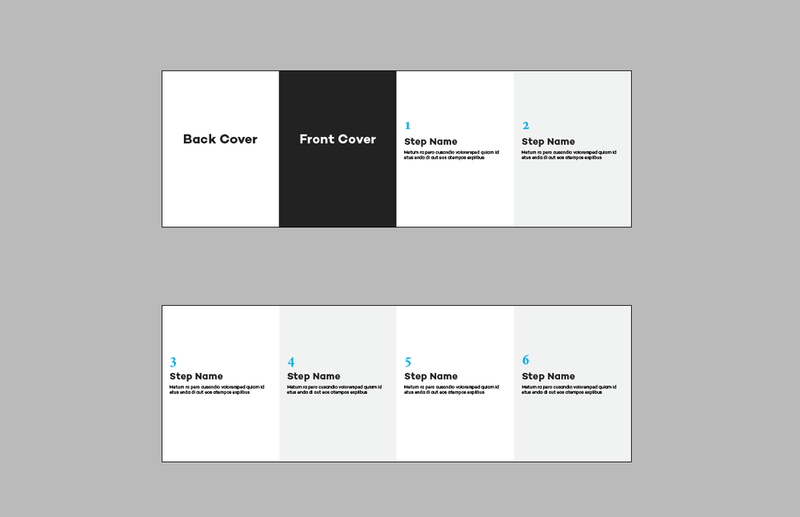 The guide must take the viewer through a sequence of six steps. In other words, the steps must follow one another. Step one must be completed before step two can be completed, and so on. "My six favorite movies" or "Six things to do in Paris" are not acceptable topics because they are not sequential. Imagery is optional but, if included, must be created by the student or obtained from a royalty-free source. Do not use Google Image search.